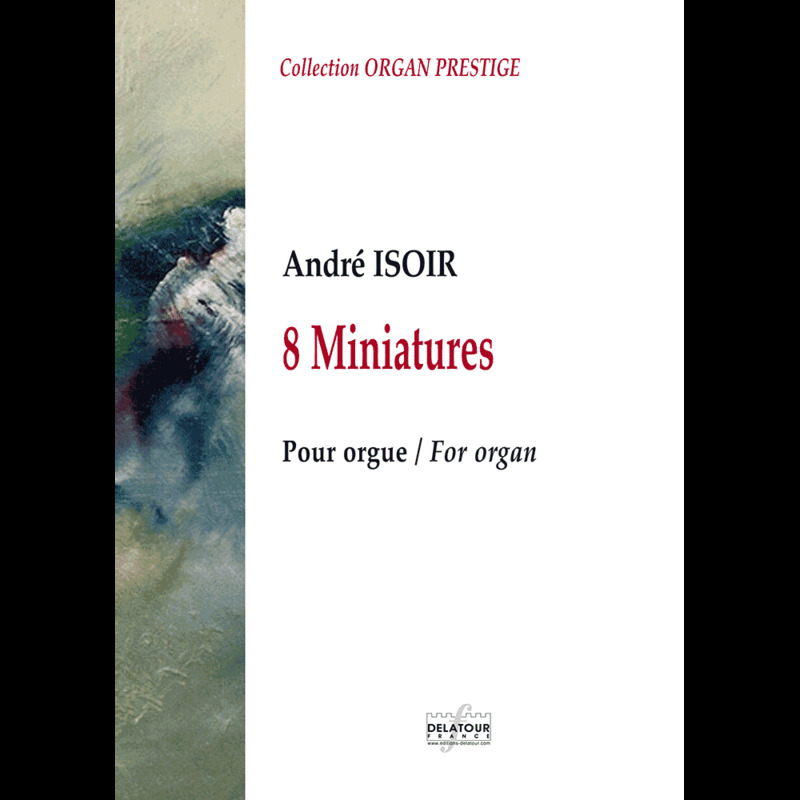 The Eight Miniatures of André Isoir were originally composed pour his wife Annie and were intended to replace the improvised sections of the Protestant service. The pieces are completely representative of the French musical esthetic and continue the manner of Fauré, Ravel or Duruflé. With an admirable elegance and conciseness they accomplish their tasks quickly. Written in the free and playful style of improvisation, each piece has a clearly defined and personal character. 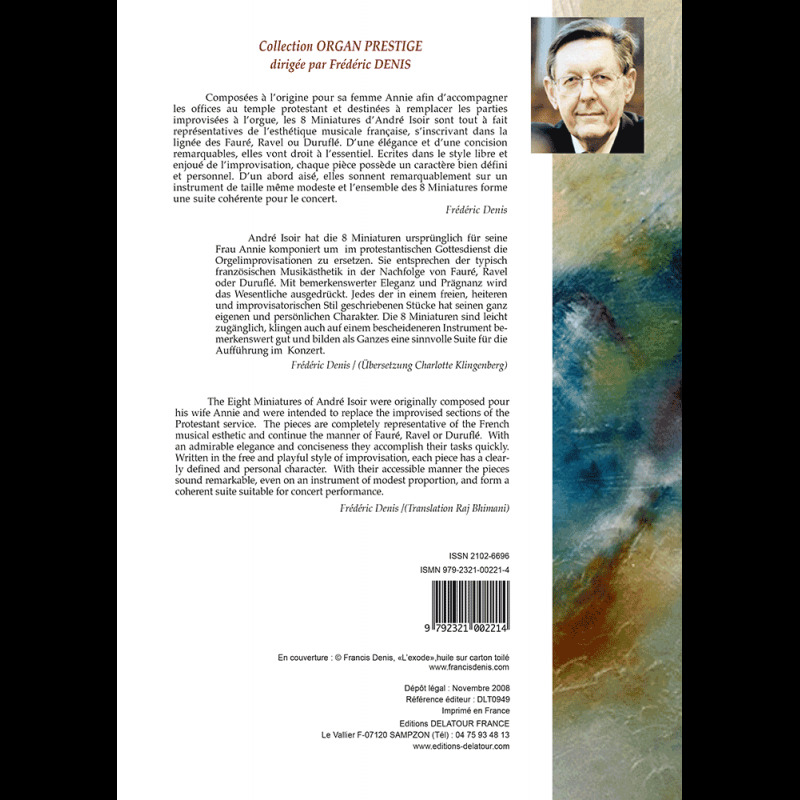 With their accessible manner the pieces sound remarkable, even on an instrument of modest proportion, and form a coherent suite suitable for concert performance.